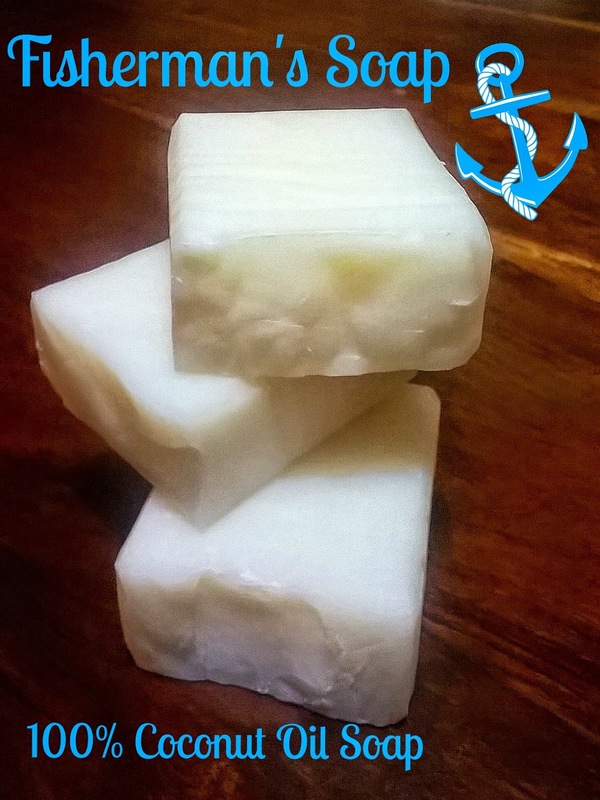 Ever since I first read about properties of different oils for soap making and found information that even though large amount of coconut oil in soap can be drying for the skin, it is still possible to make a good, nondrying Coconut oil soap, I wanted to try making one myself. Some of my soap making buddies even make 100% Coconut oil soap without lye discount and they swear that it's the best soap for the laundry. I didn't want to use so much Coconut oil for a laundry soap, because it's not a very cheap ingredient here in Greece, but I decided to make a small batch of Laundry soap with 50% Coconut oil and 50% Lard. While I was at it, I figured i could try making a small batch of 100% Coconut oil soap with the remaining 250 g of oil I had left. I used a 20% lye discount in the recipe and I added no scent to this batch. 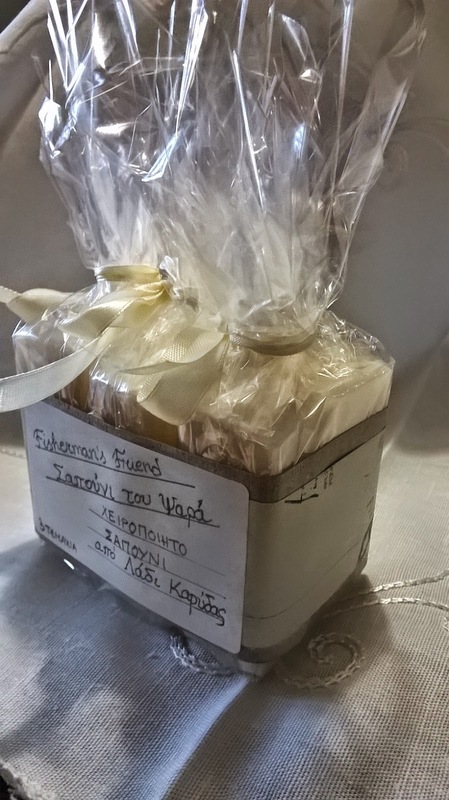 Overall, I was very pleased with the result and I managed to use one soap already, since it's a rather small piece (70 g) and the 3 remaining soaps were immediately ordered by a friend and they are packed and ready to go. Since Coconut soap is known to be the only soap that foams in the sea water I believe this gift will be of use for a family that enjoys camping near the sea all Summer. What a fun idea for anyone that is super outdoorsy and needs soap to suds in in salt water.